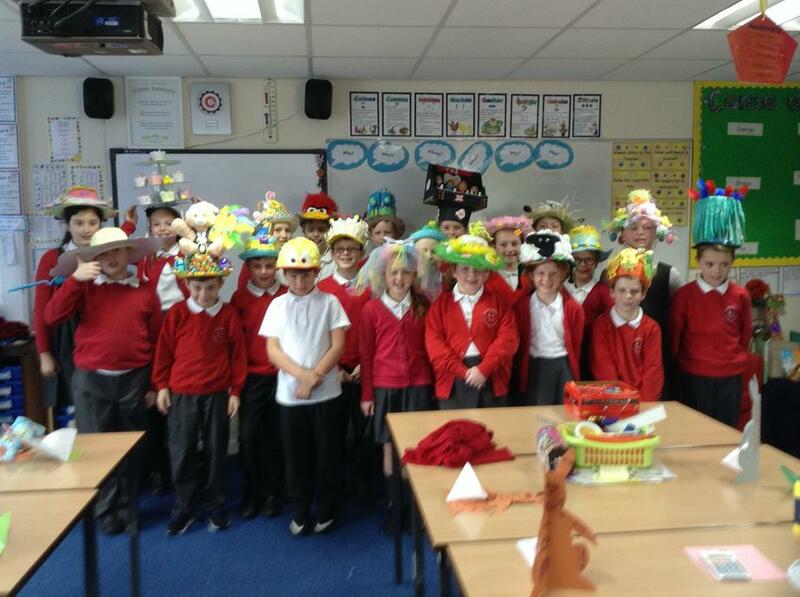 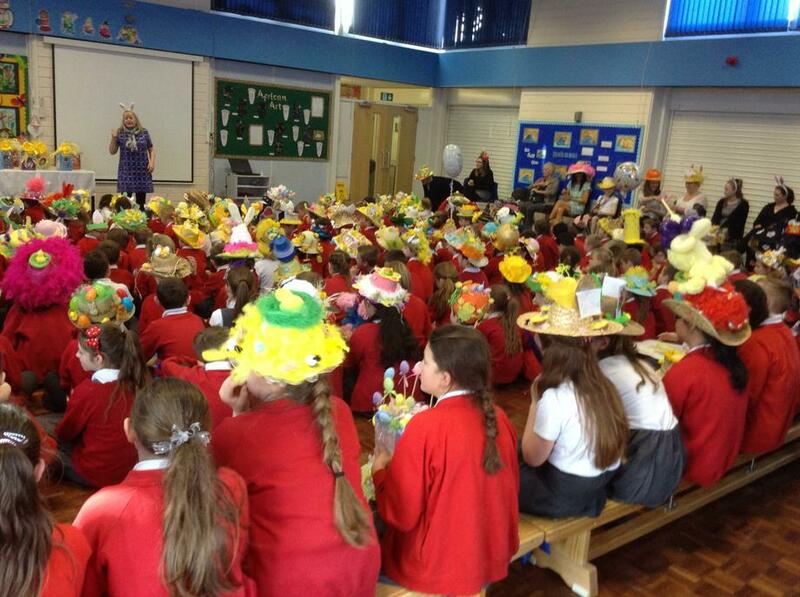 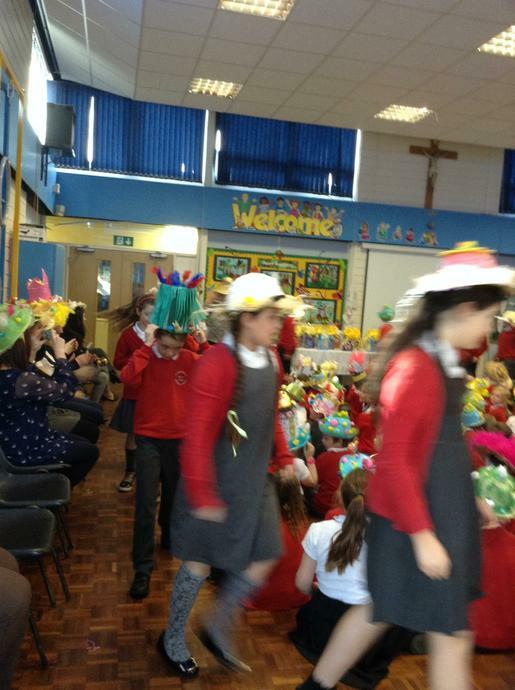 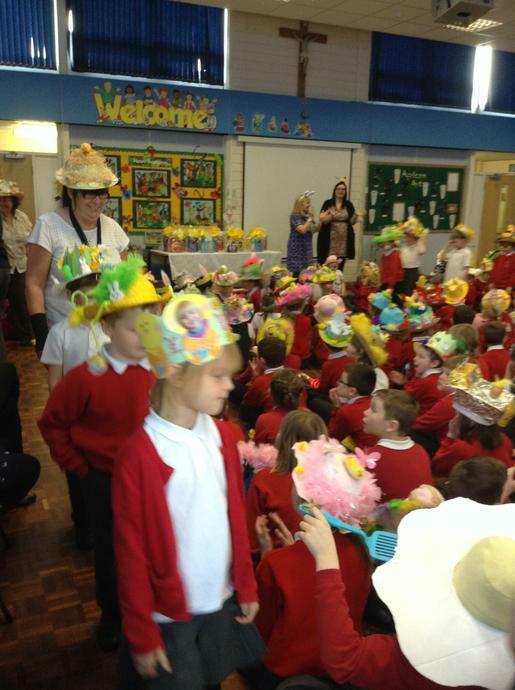 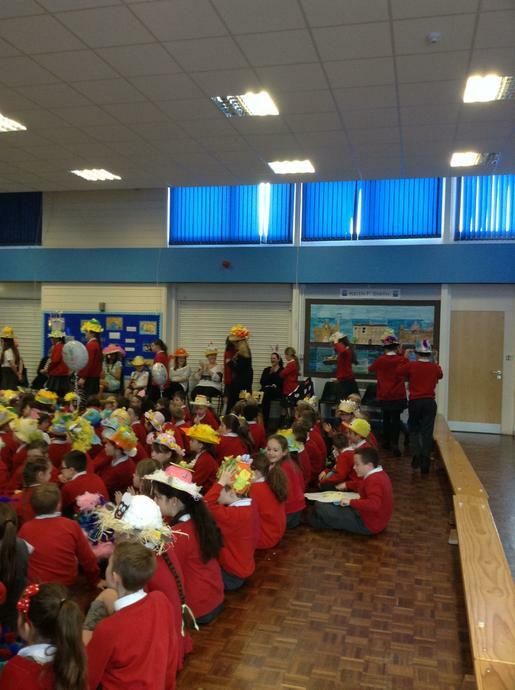 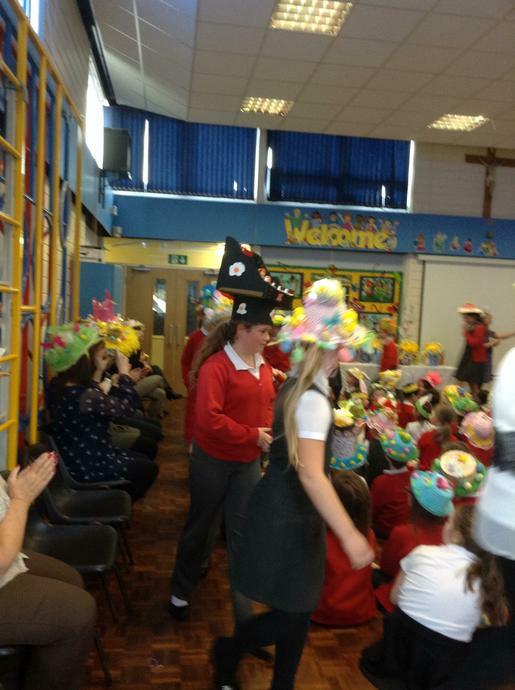 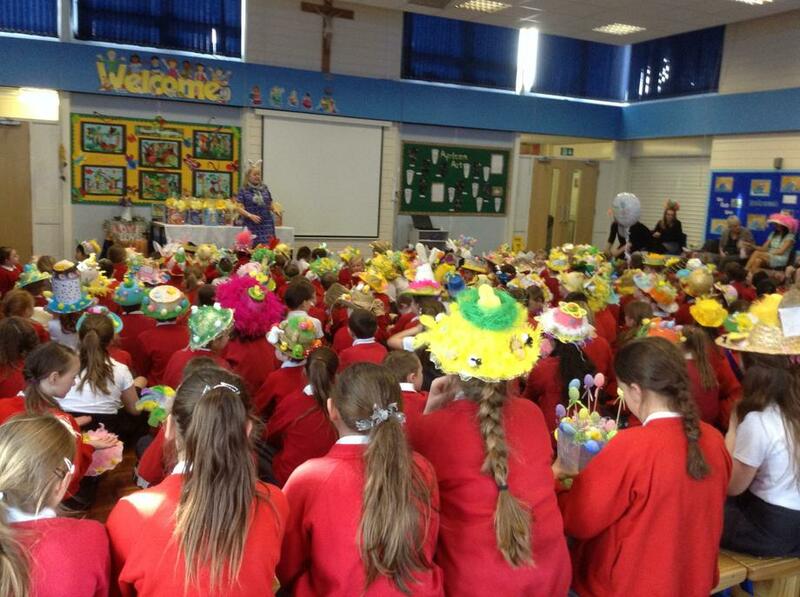 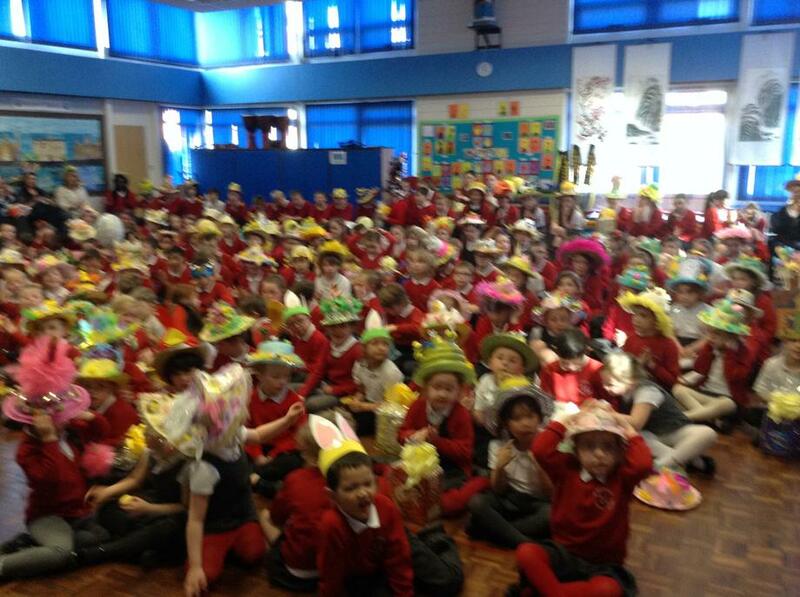 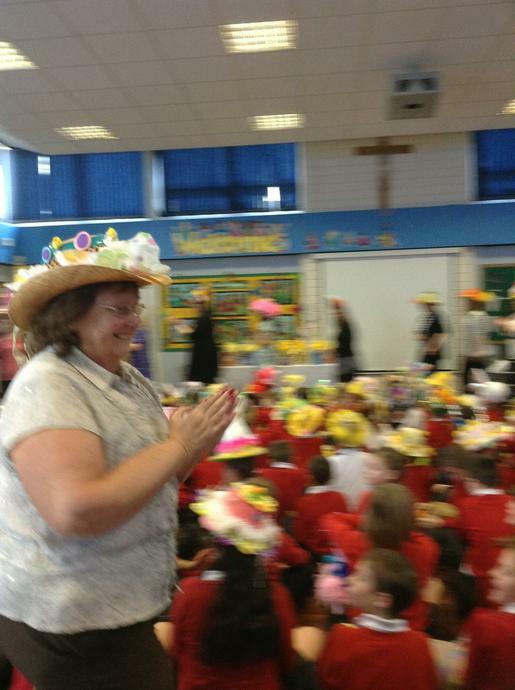 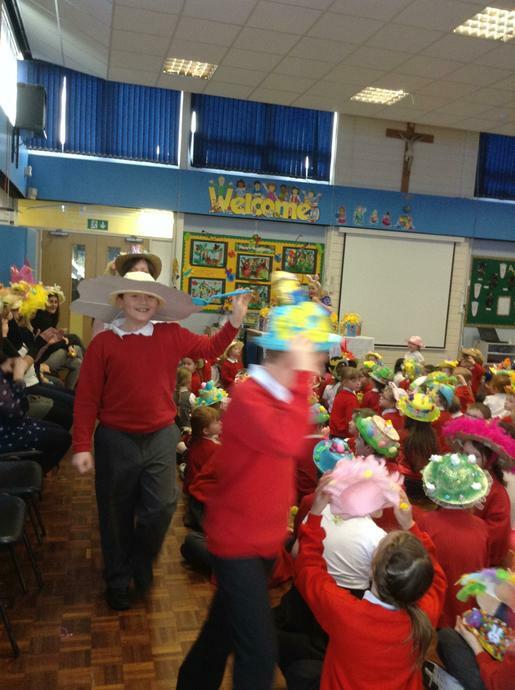 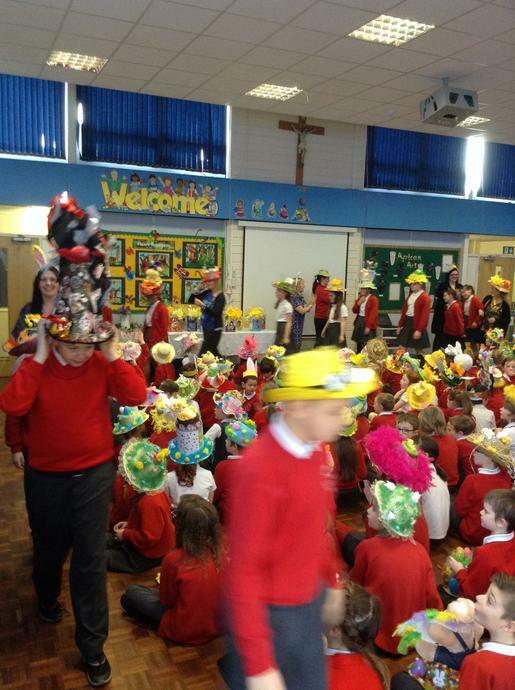 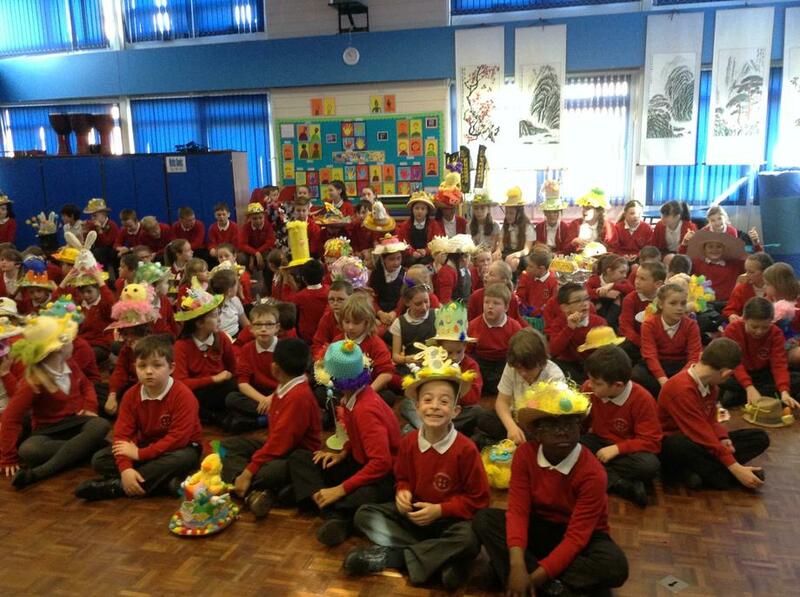 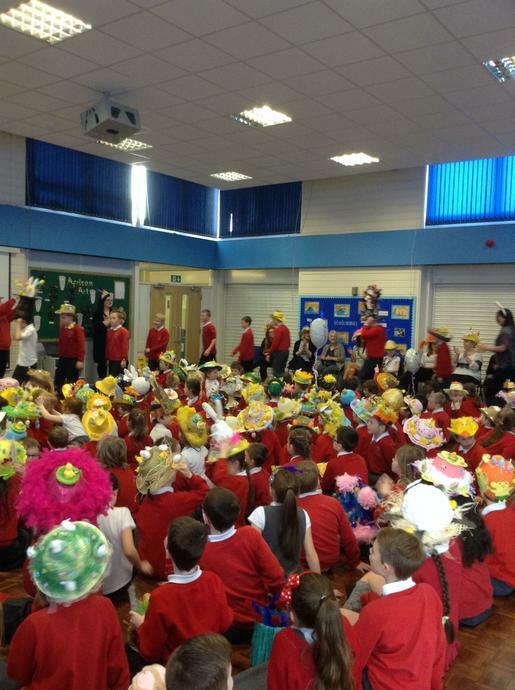 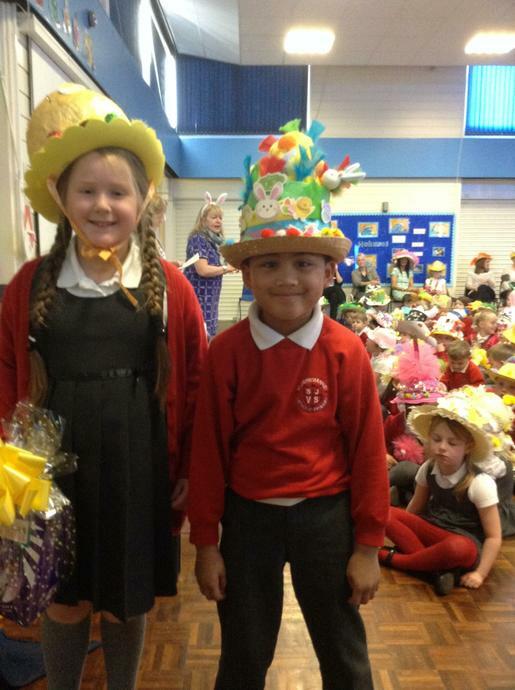 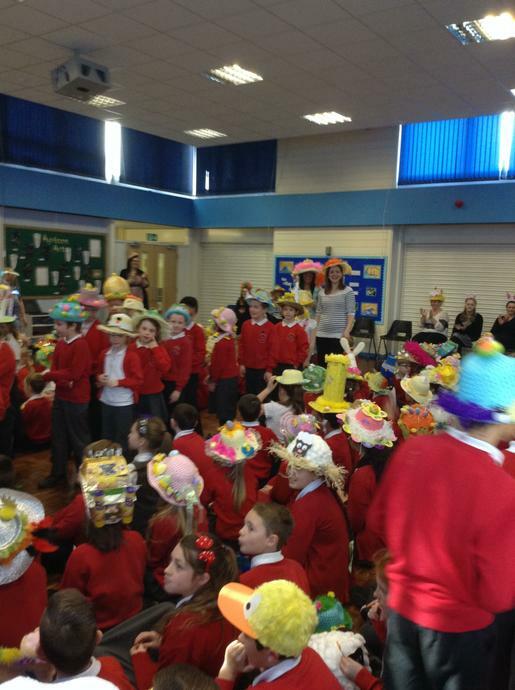 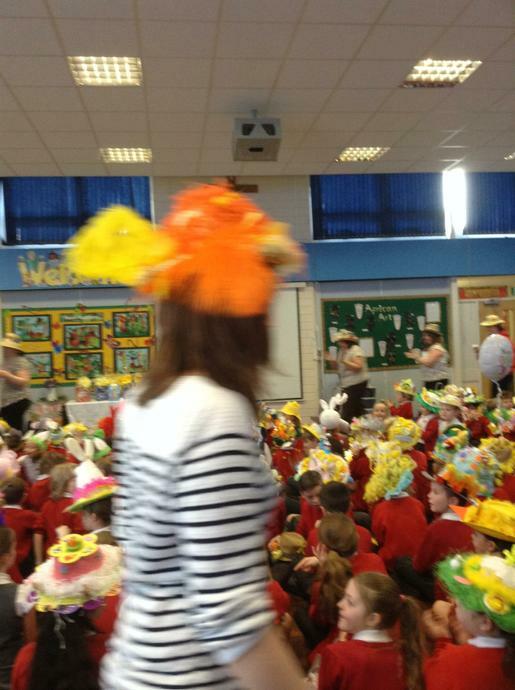 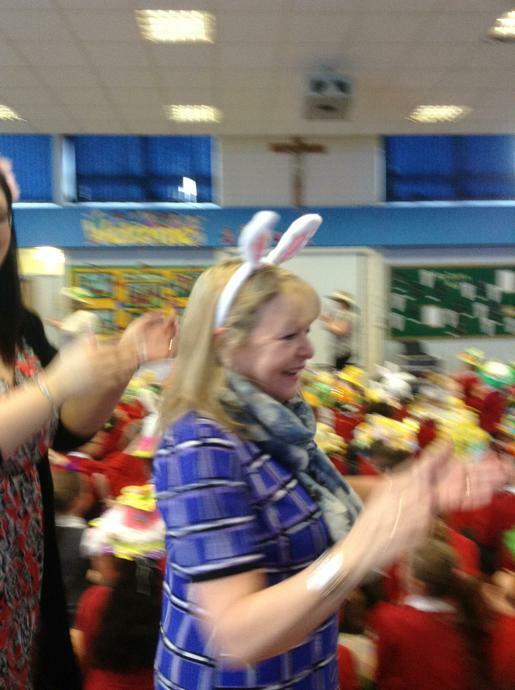 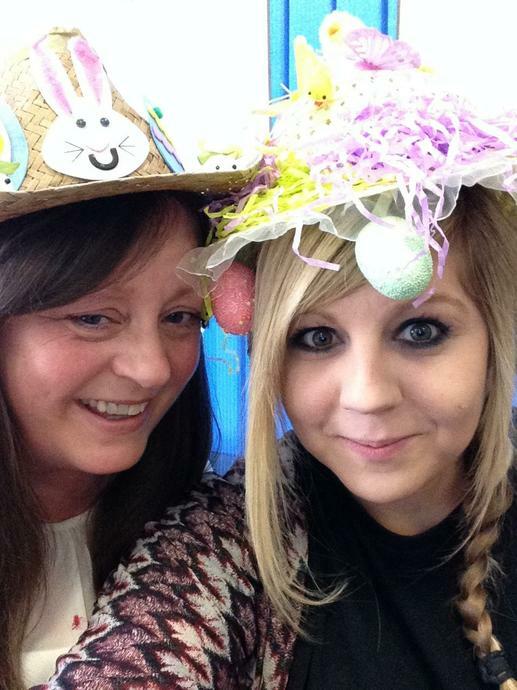 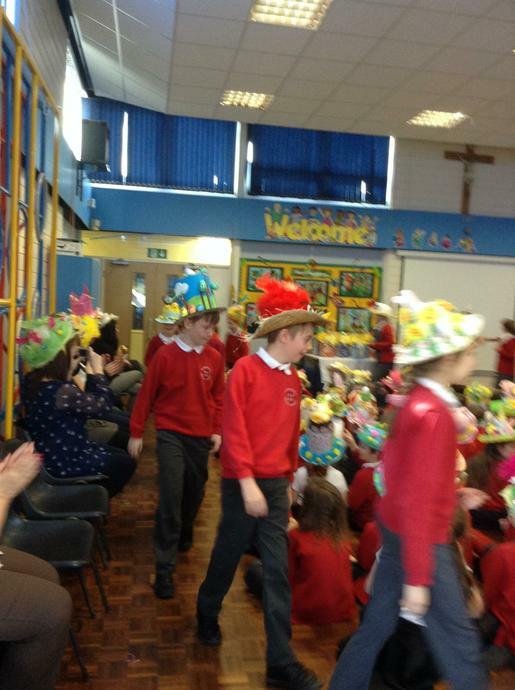 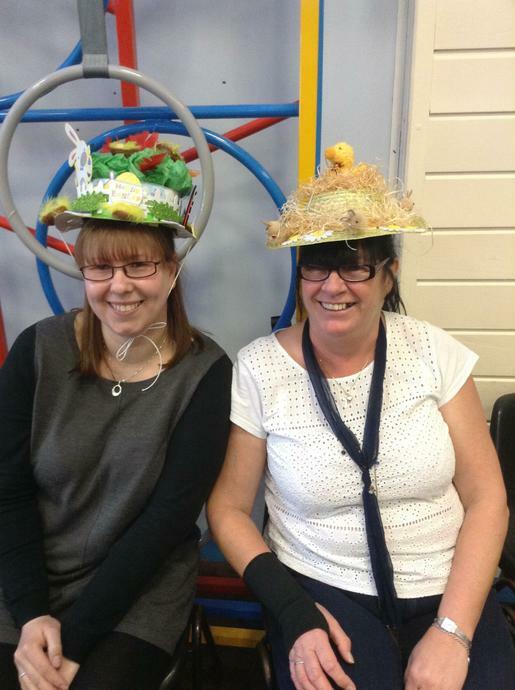 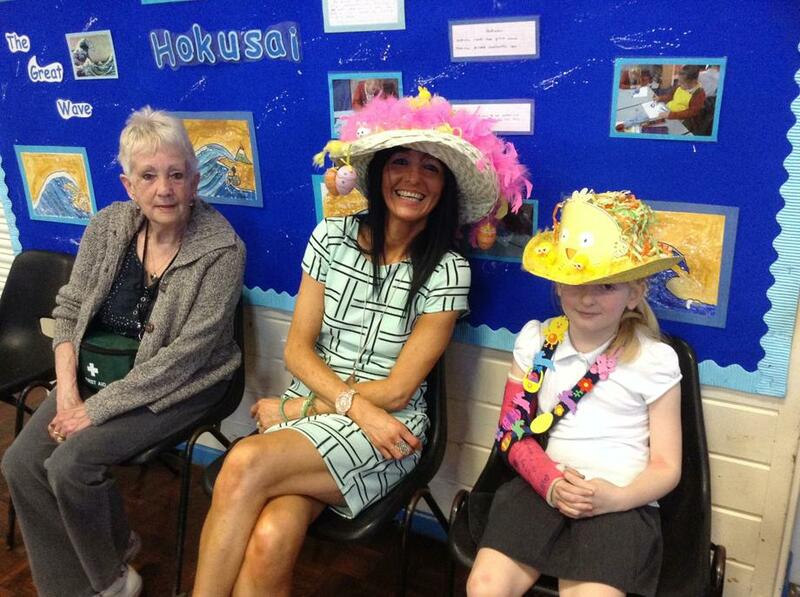 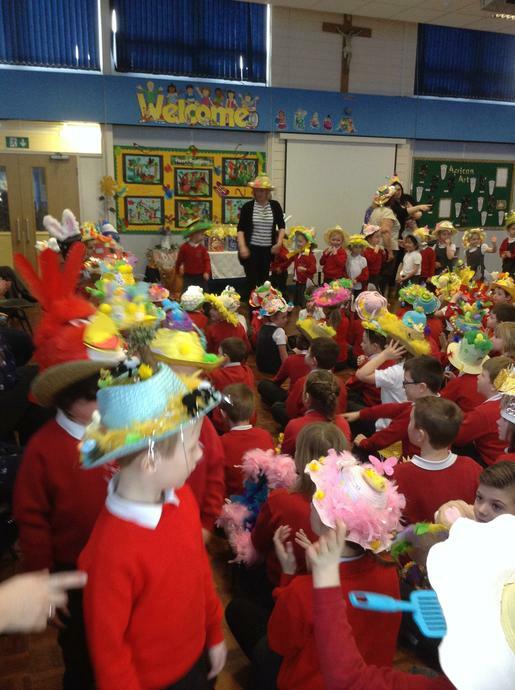 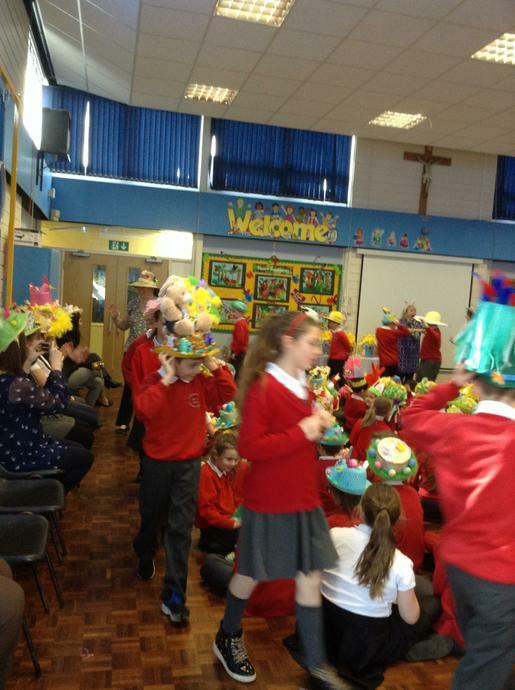 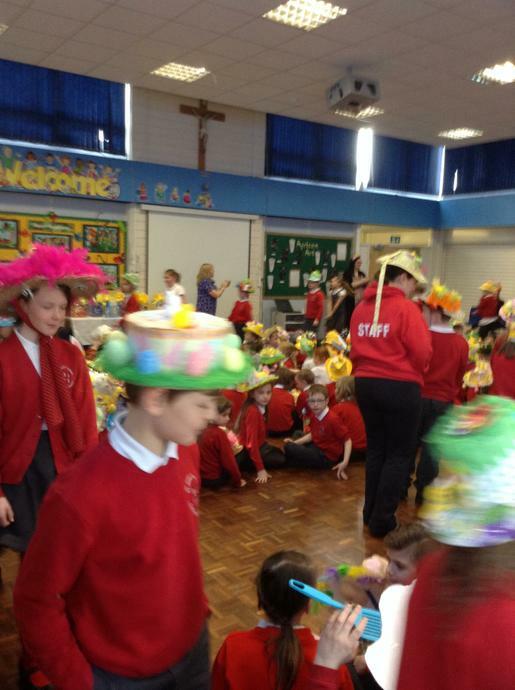 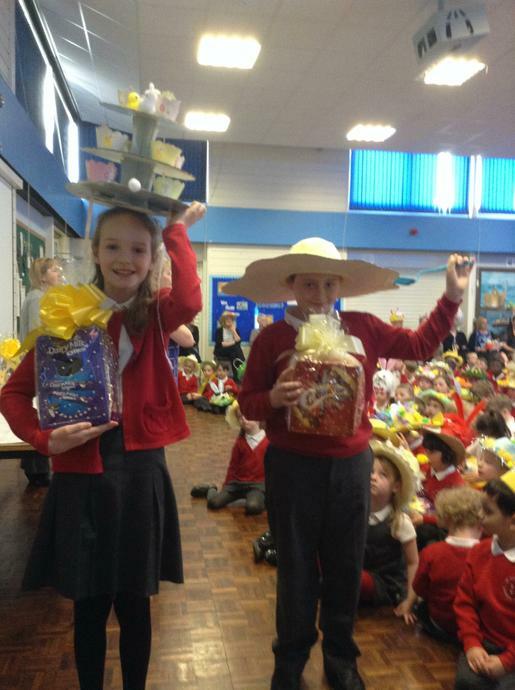 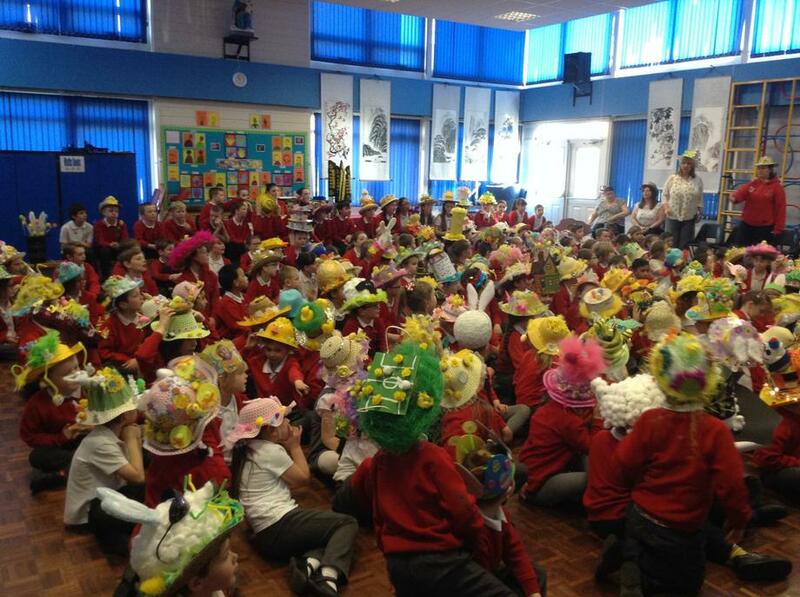 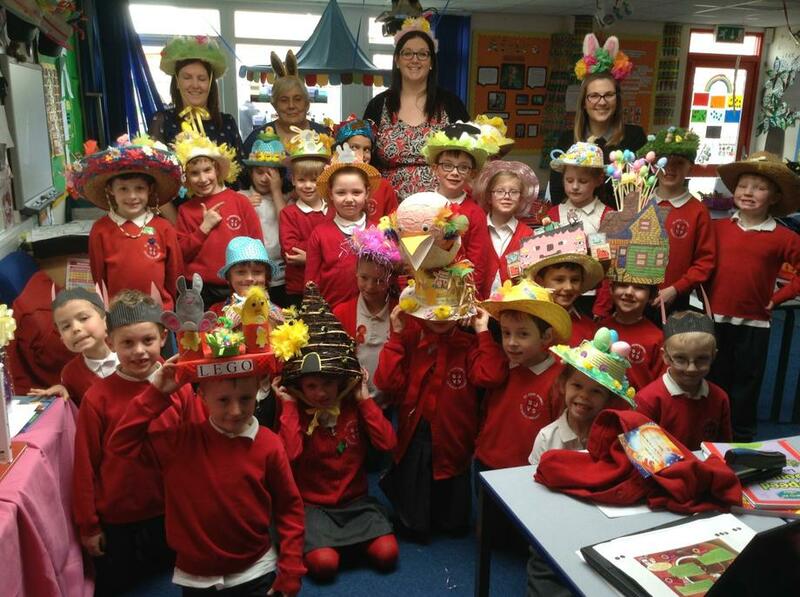 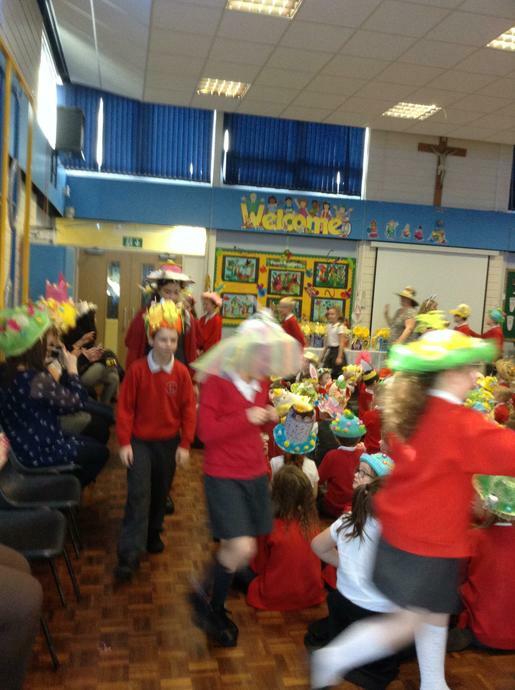 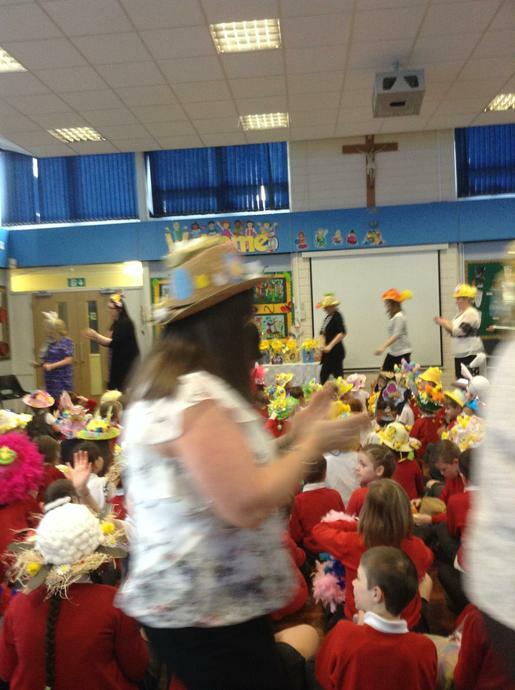 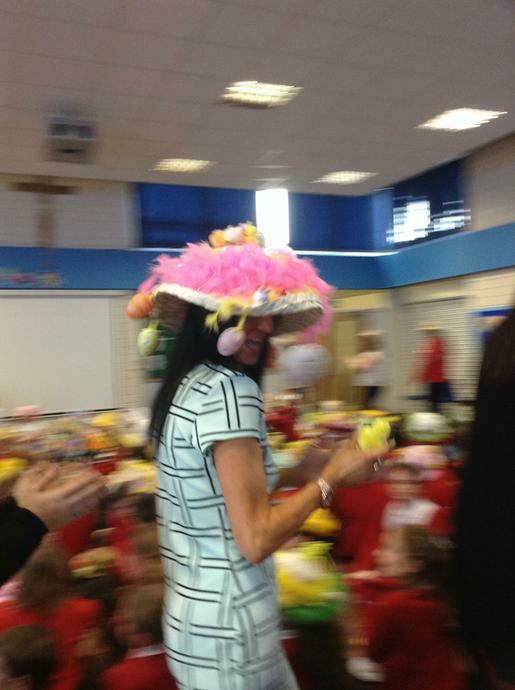 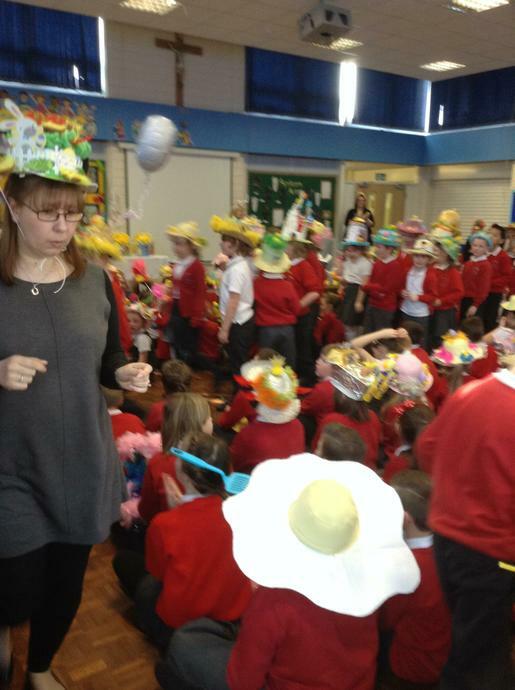 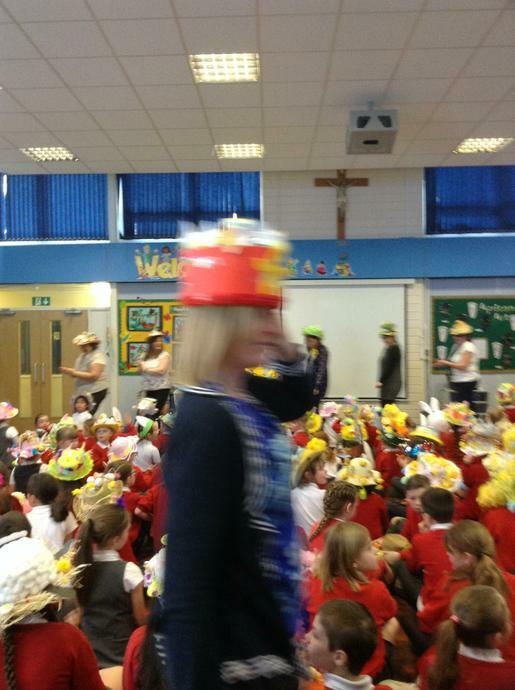 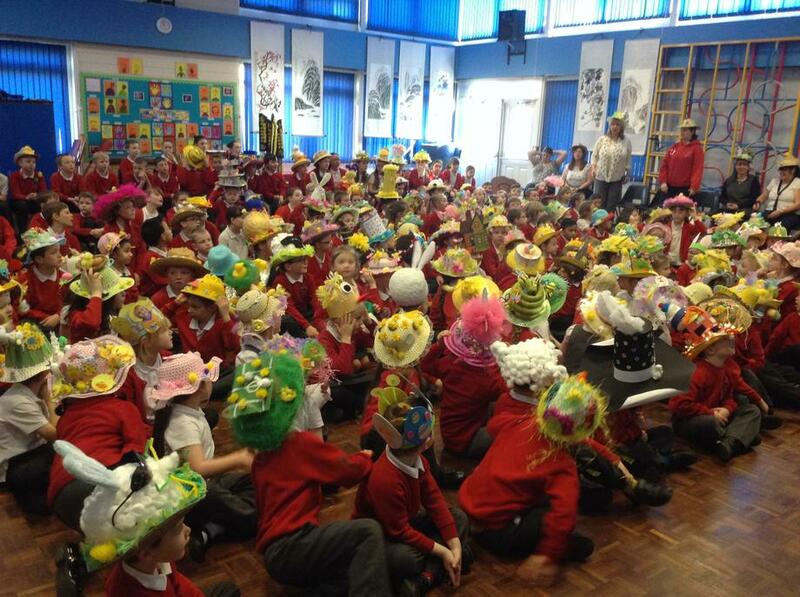 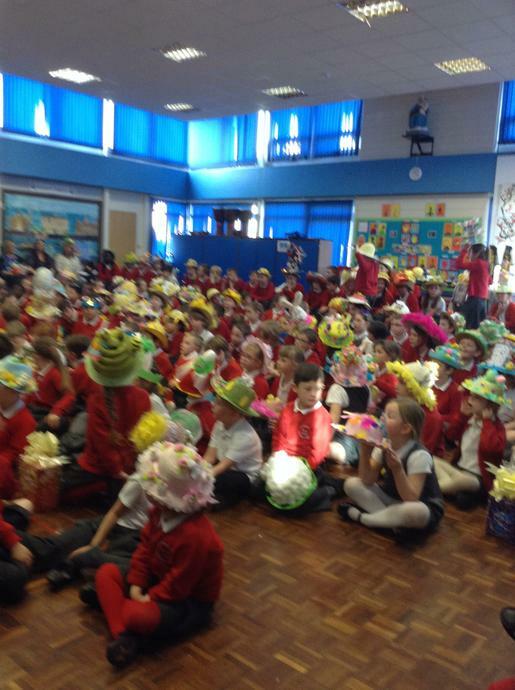 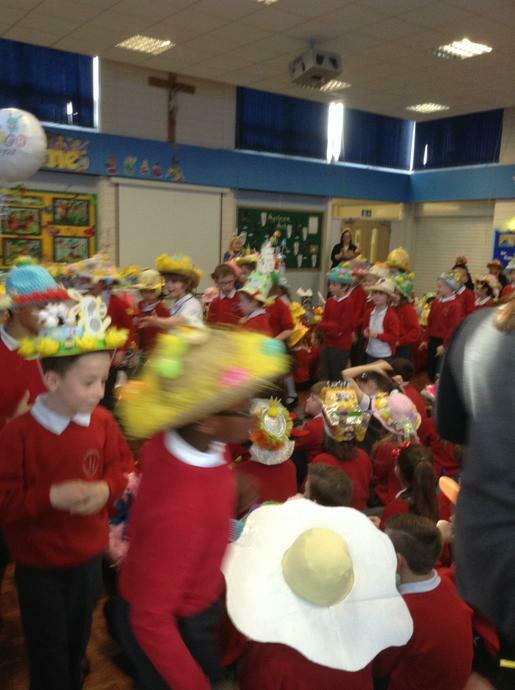 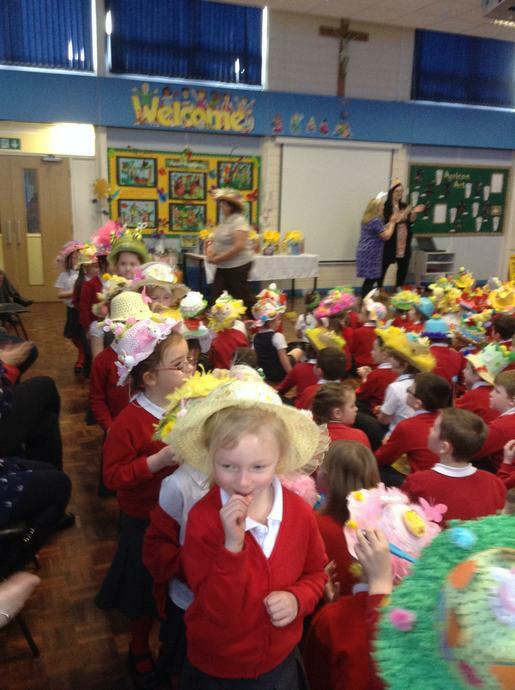 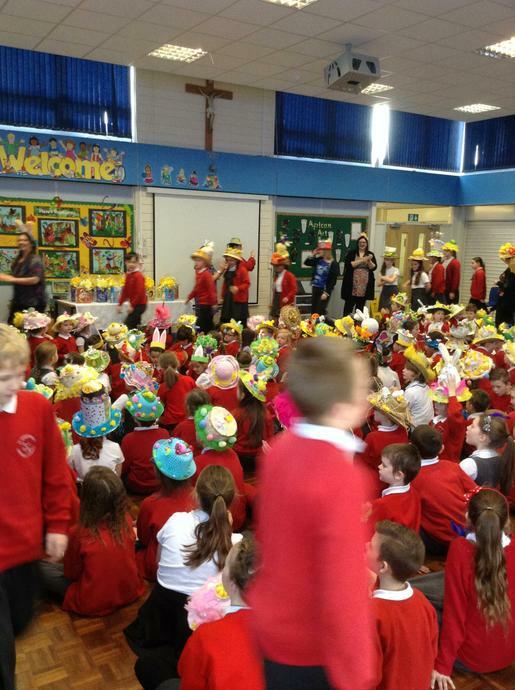 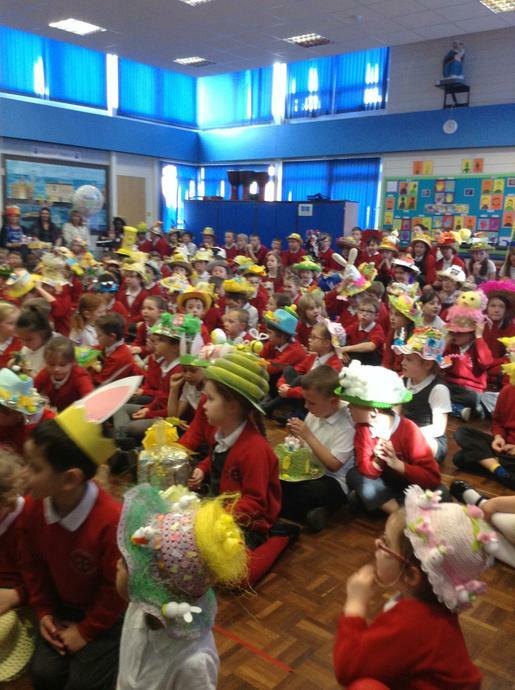 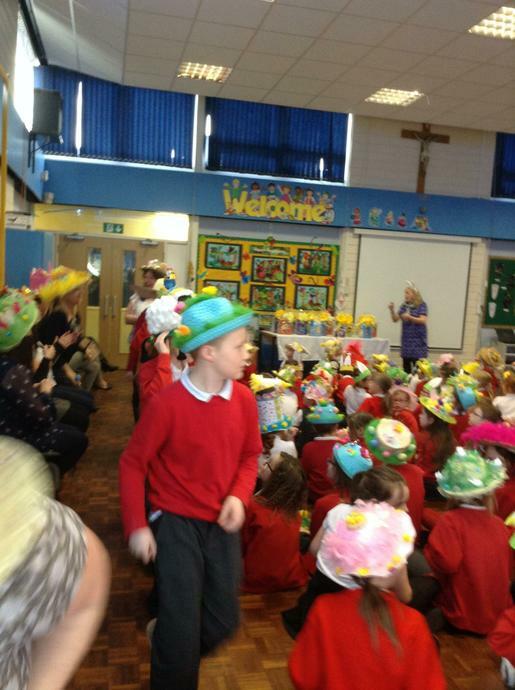 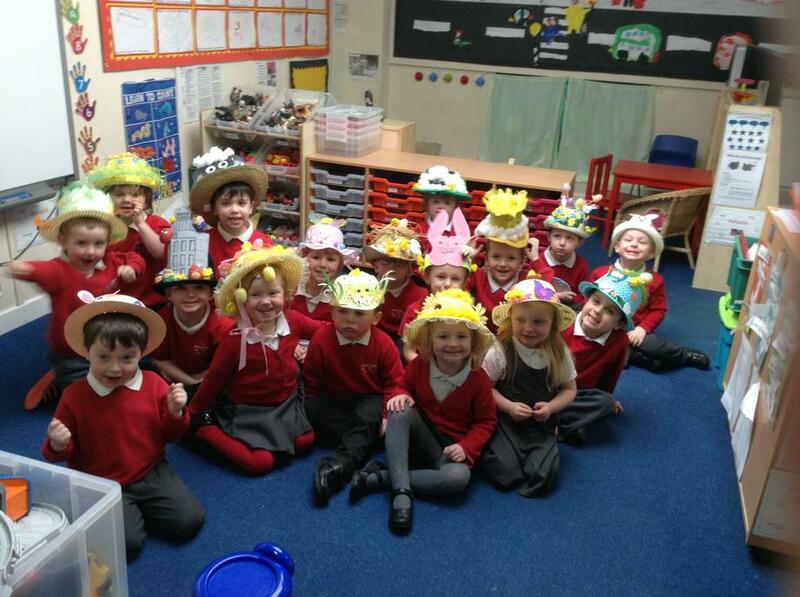 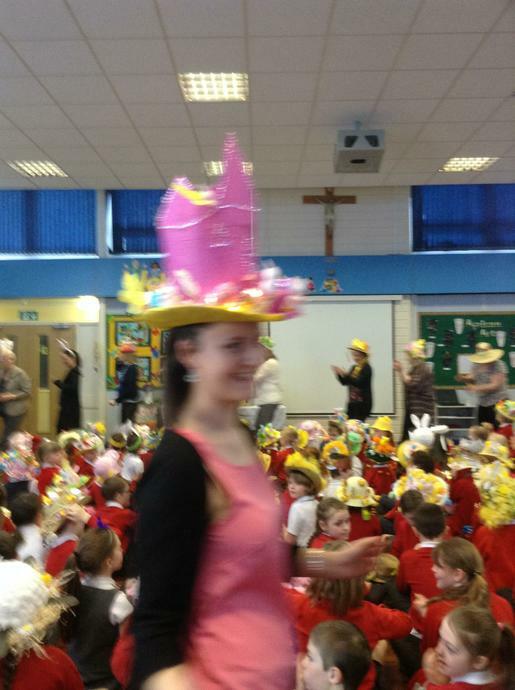 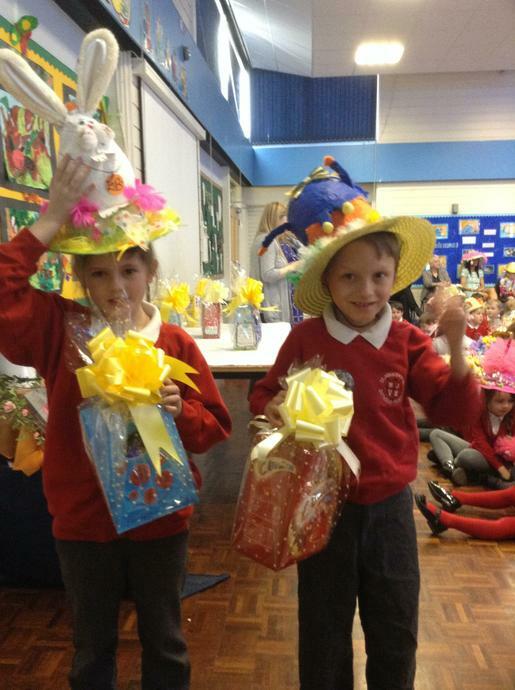 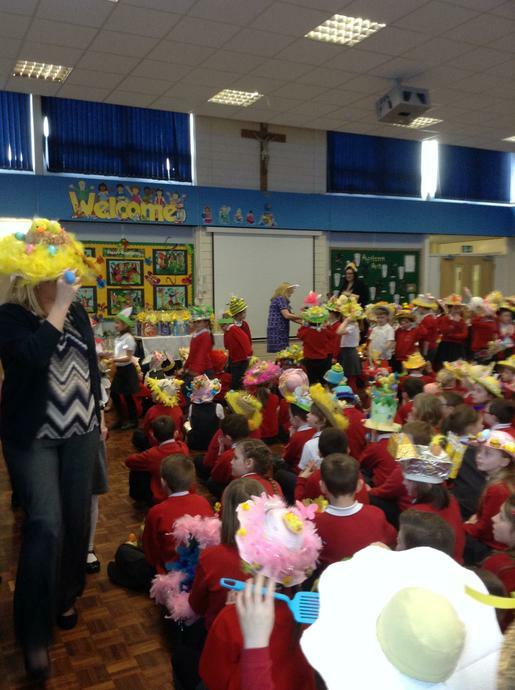 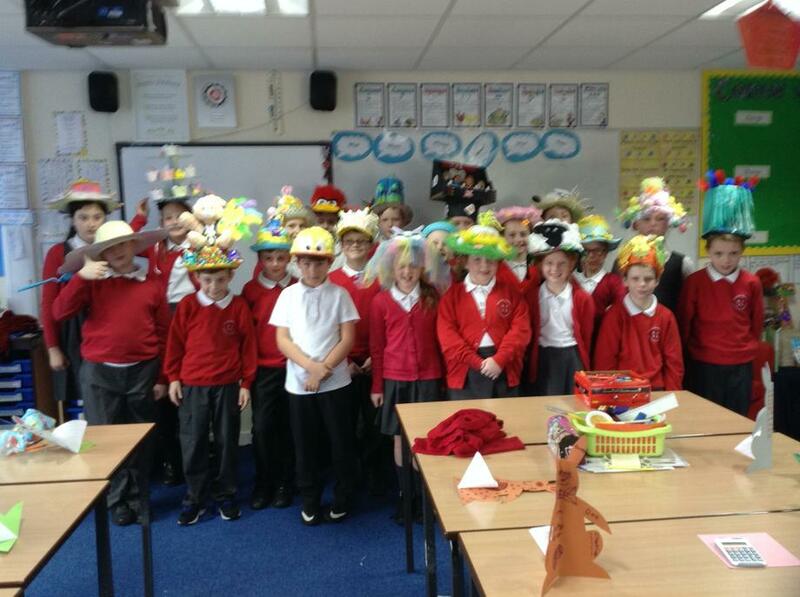 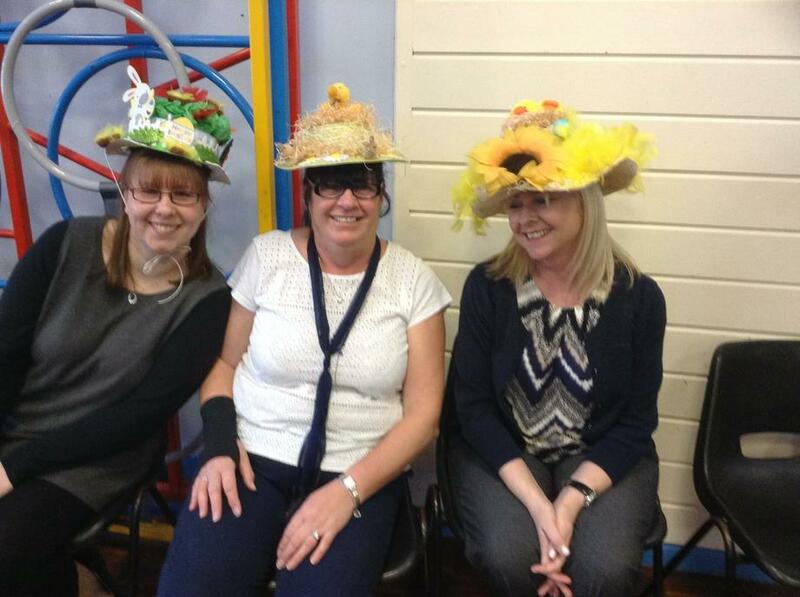 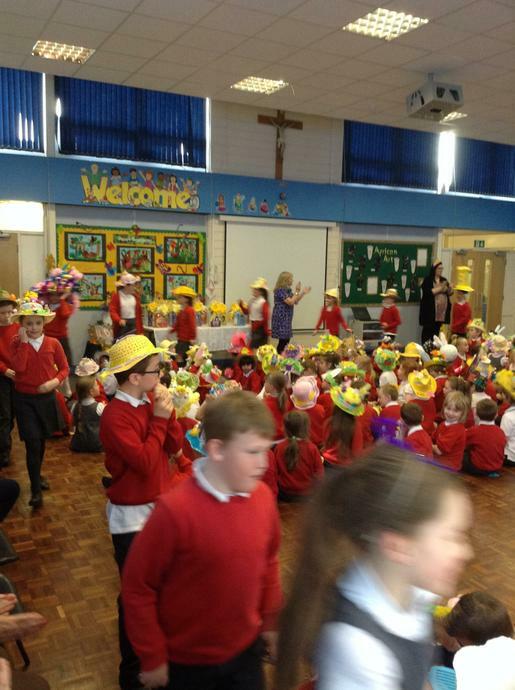 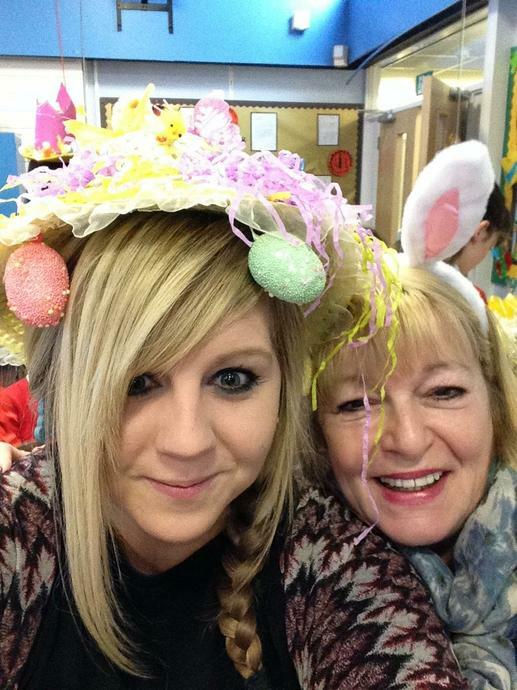 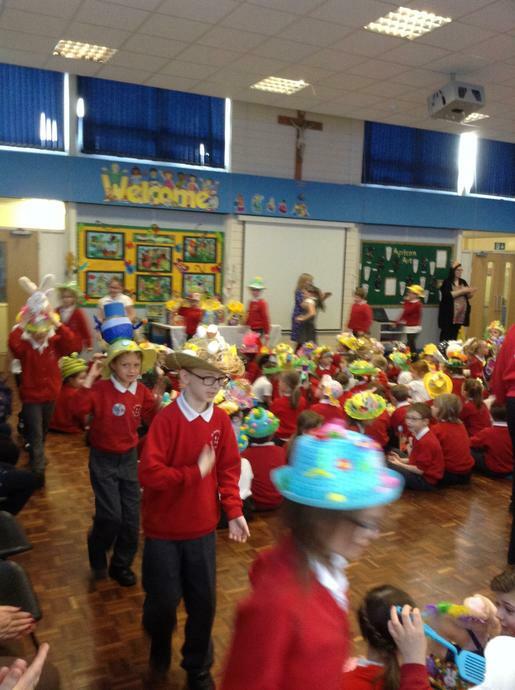 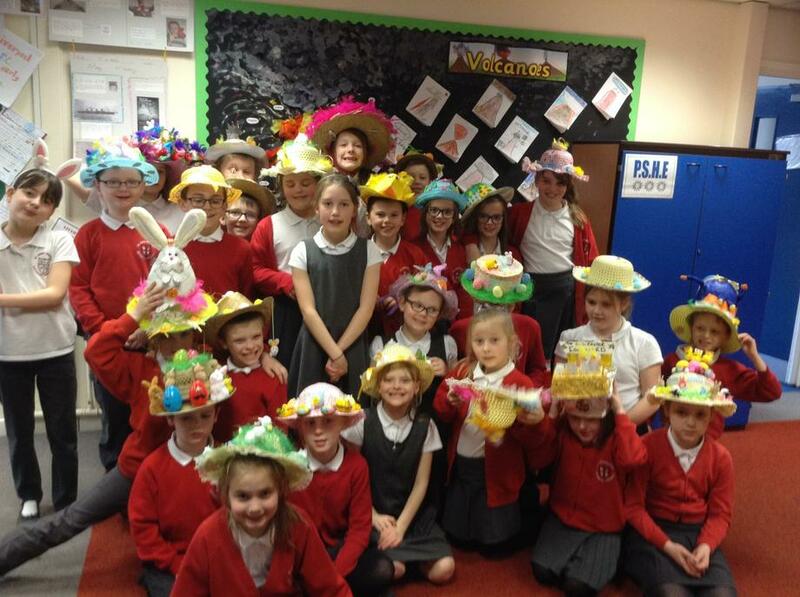 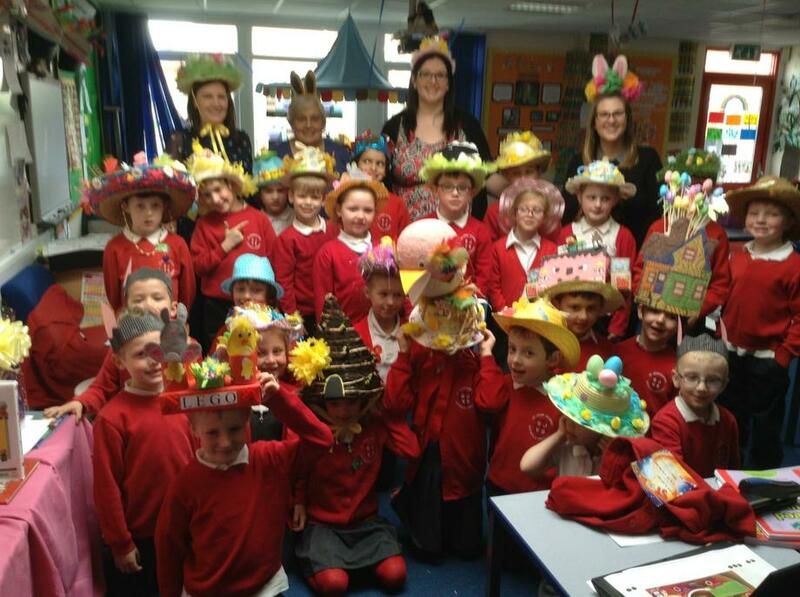 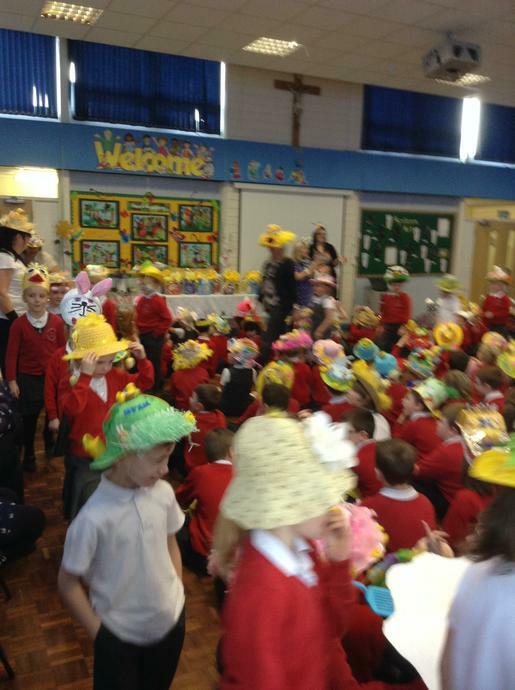 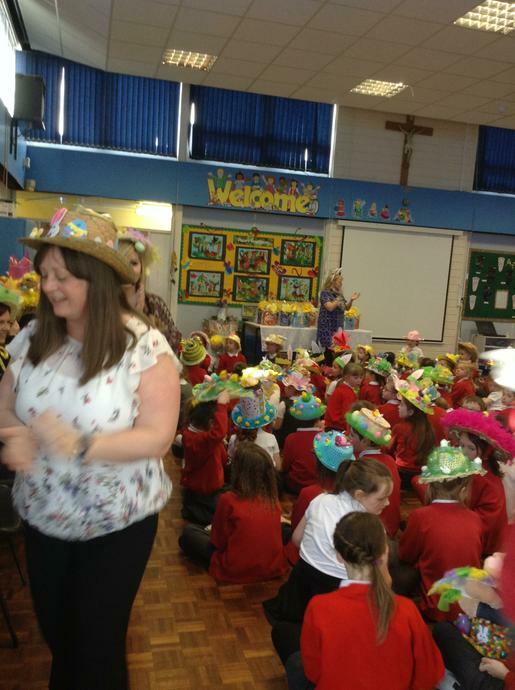 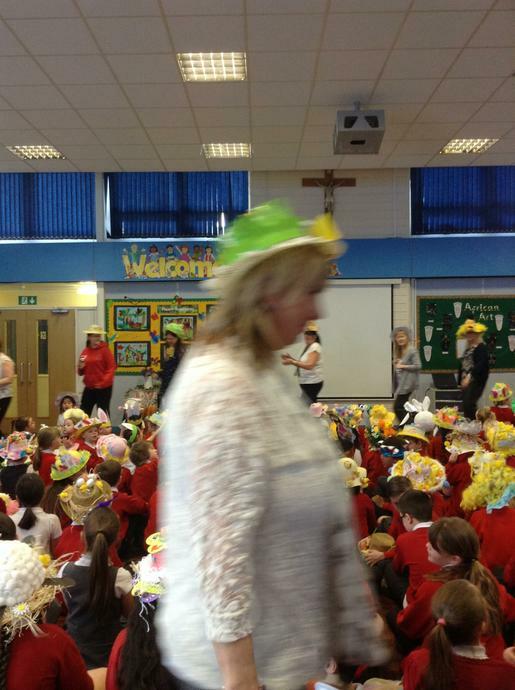 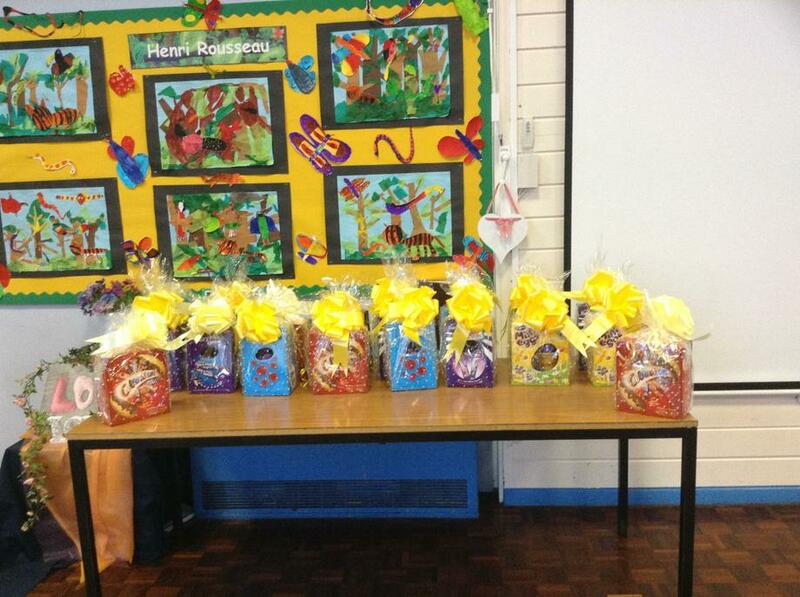 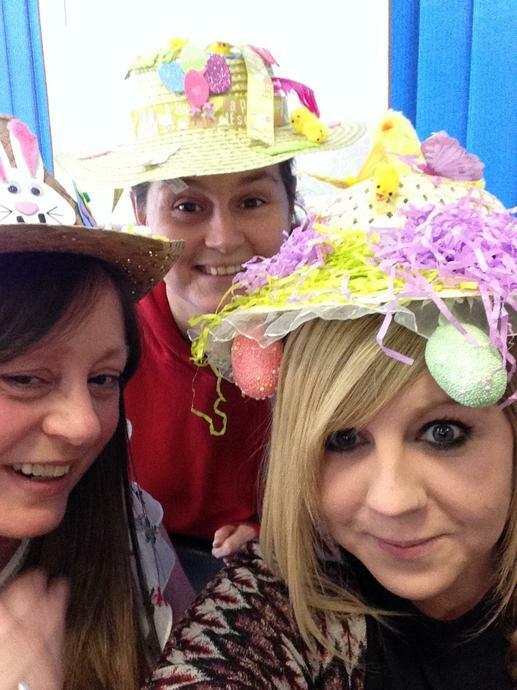 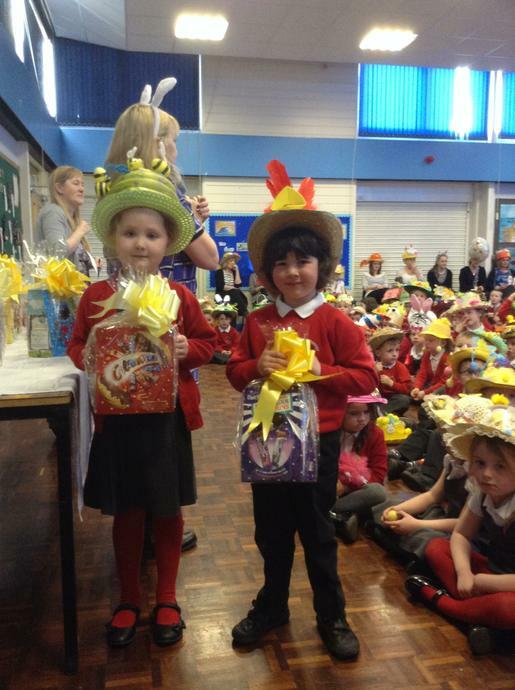 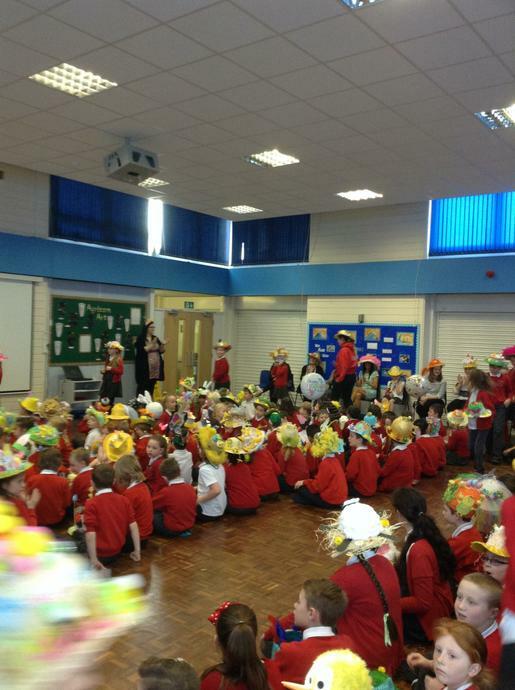 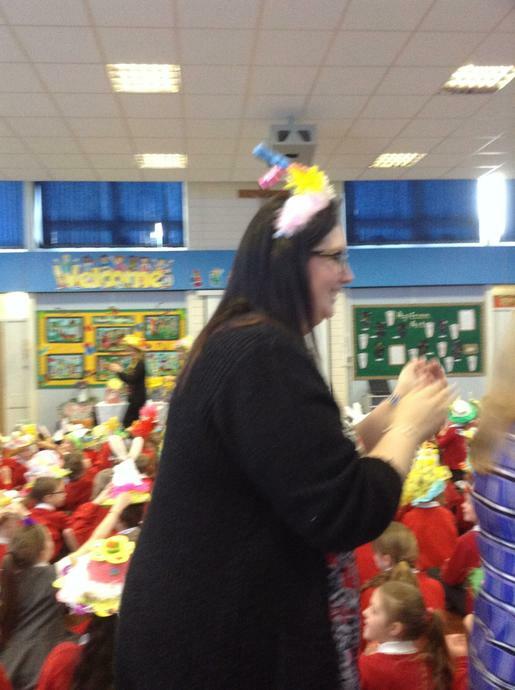 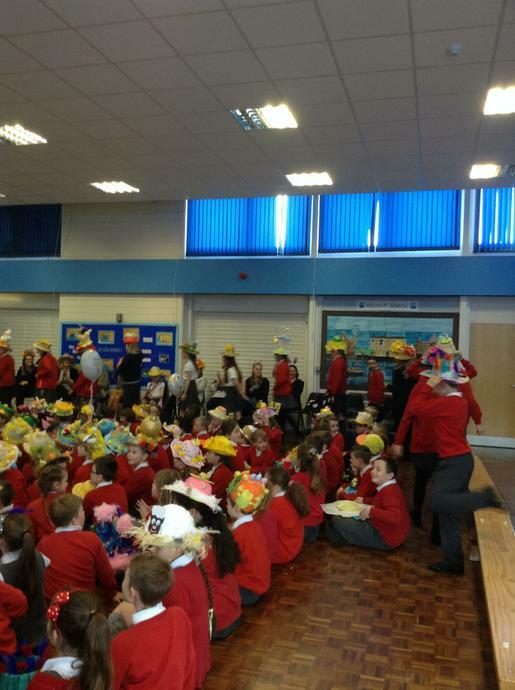 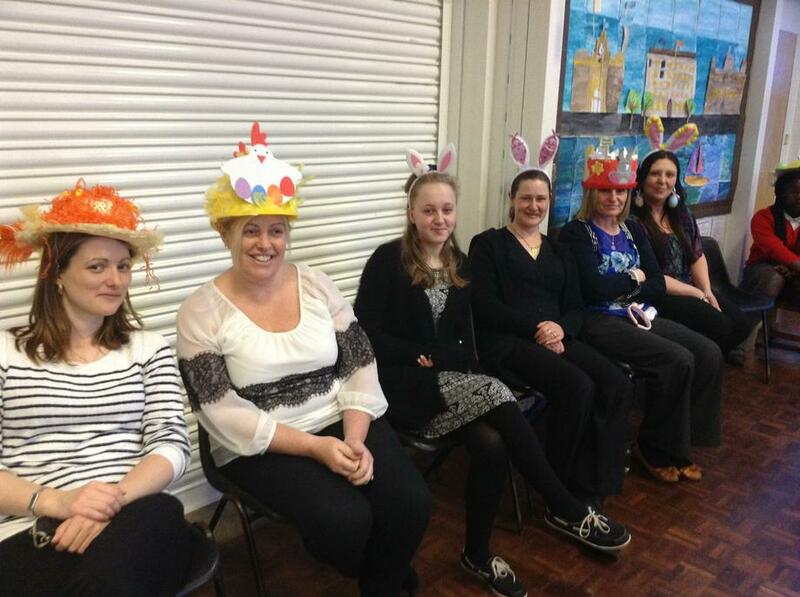 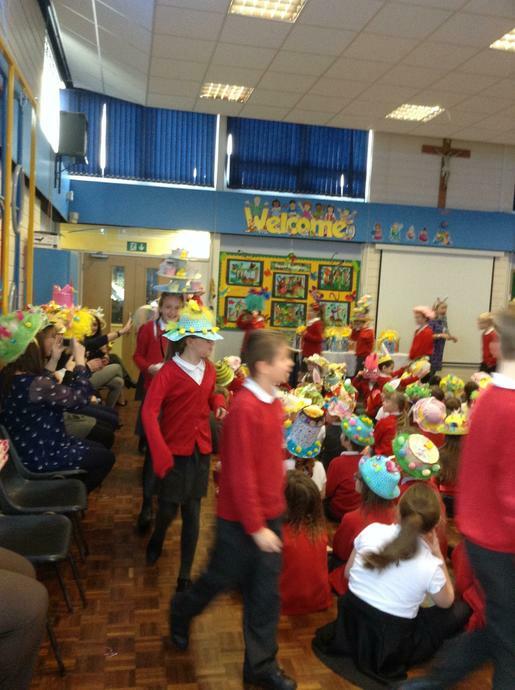 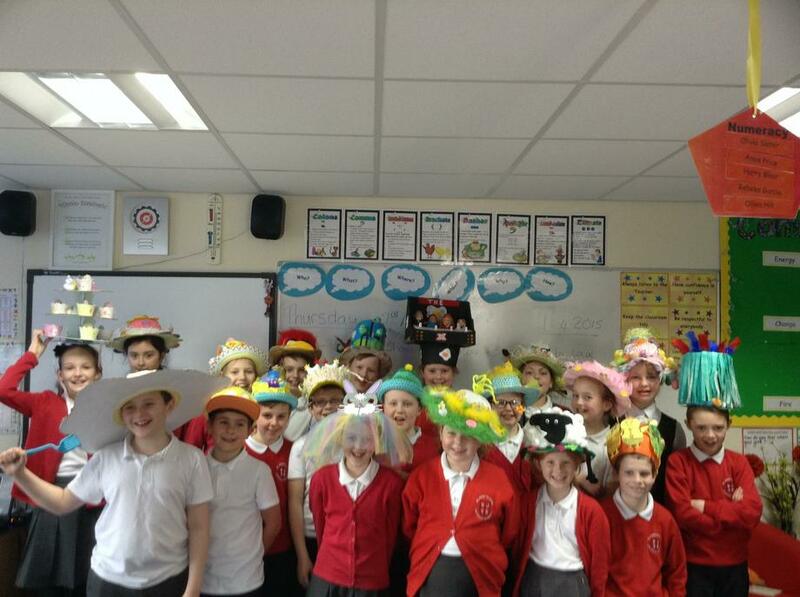 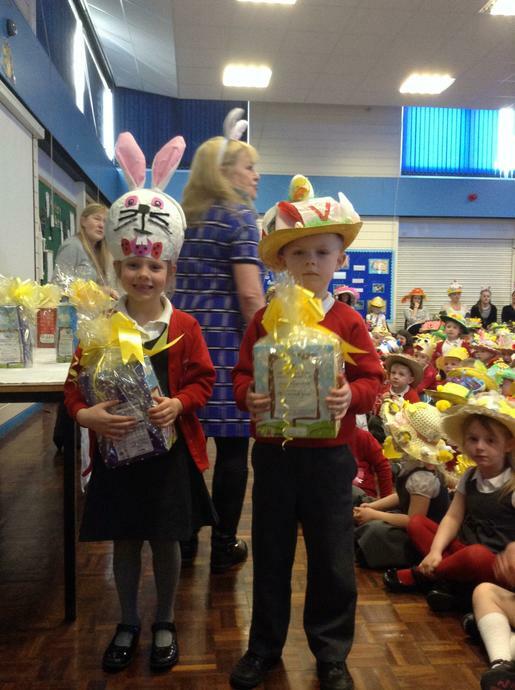 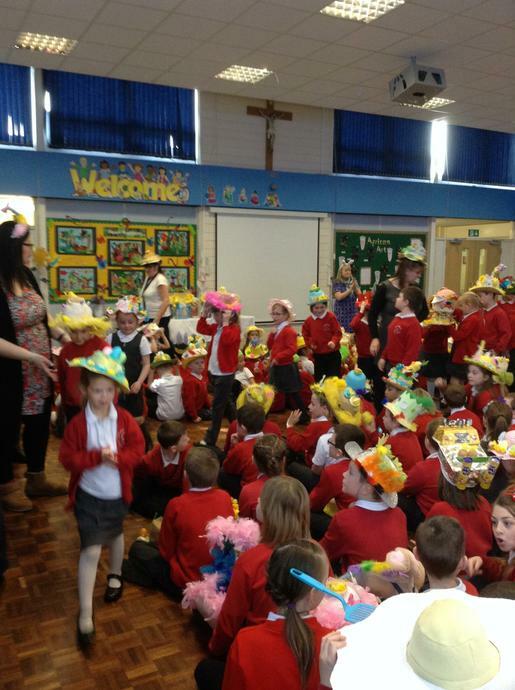 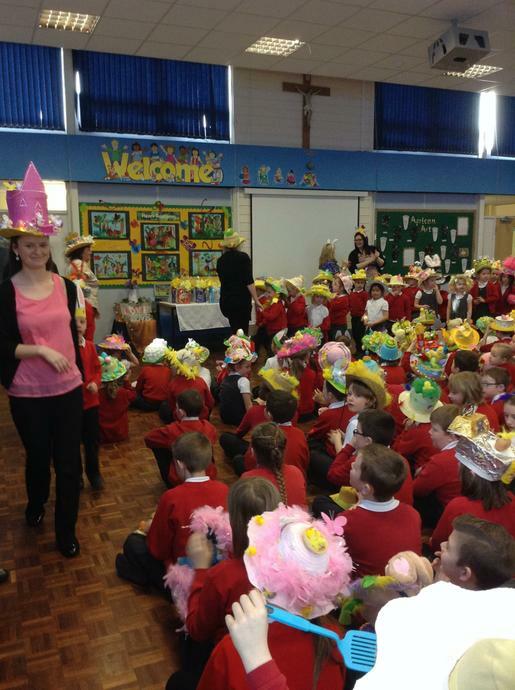 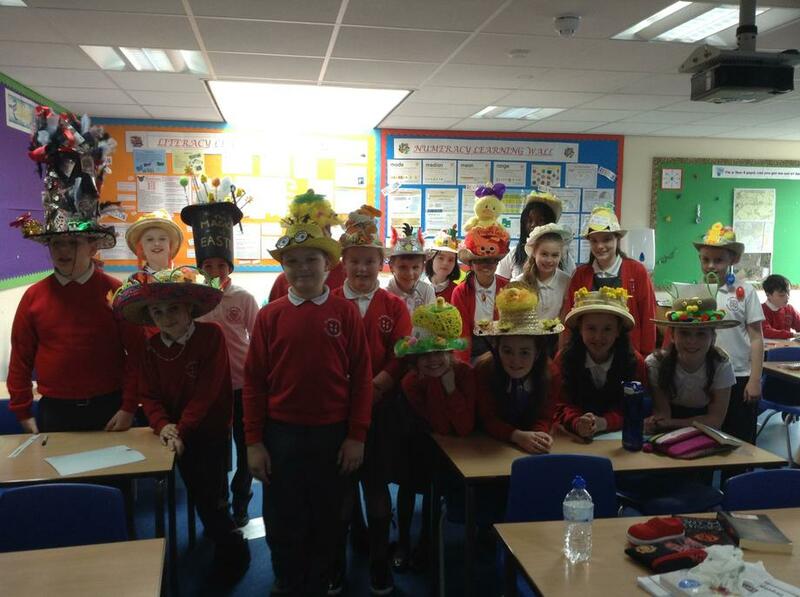 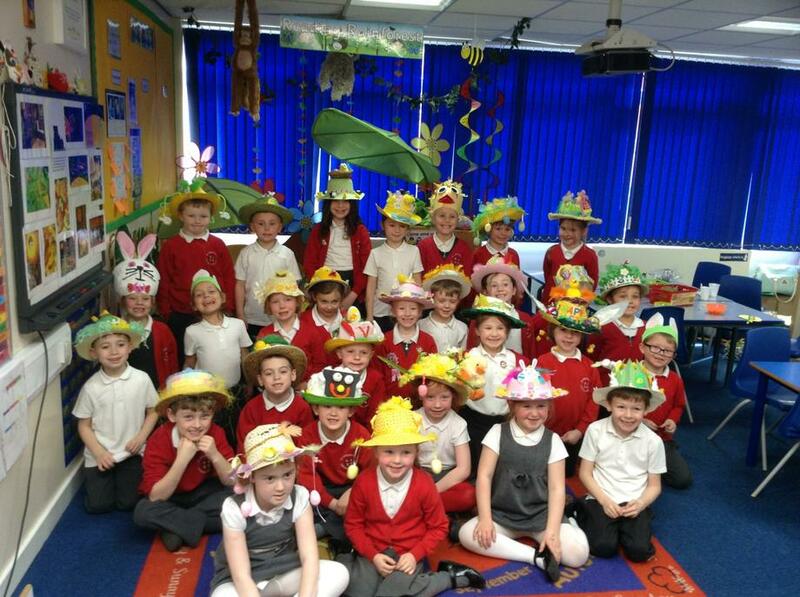 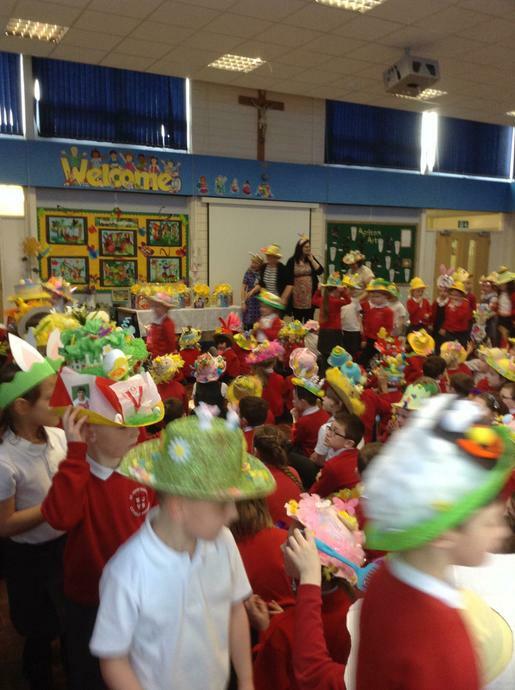 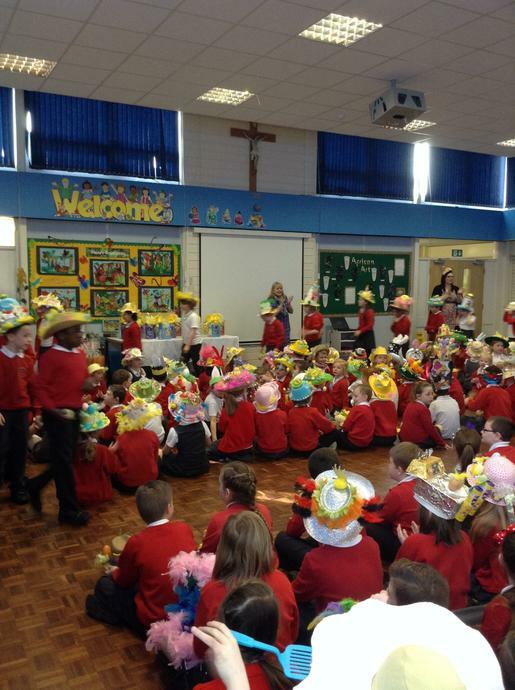 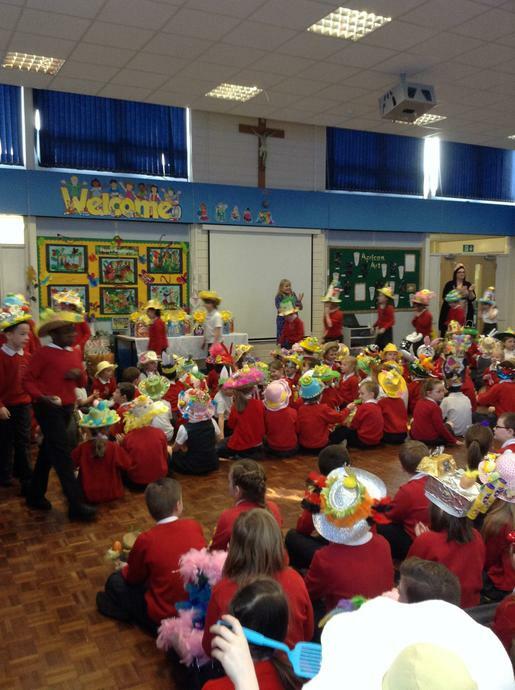 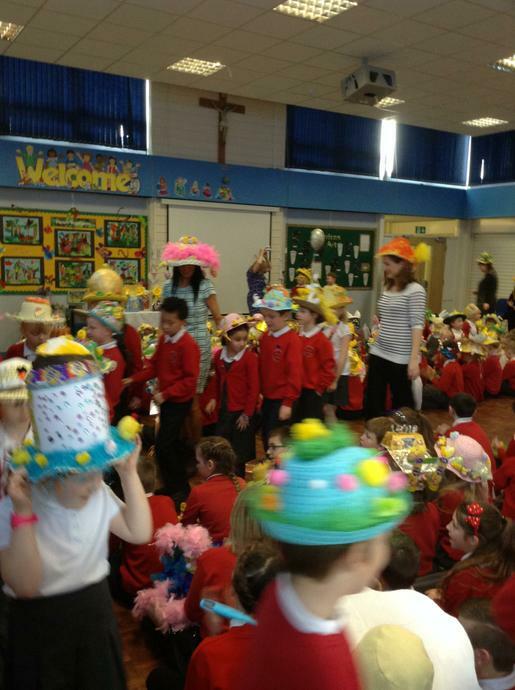 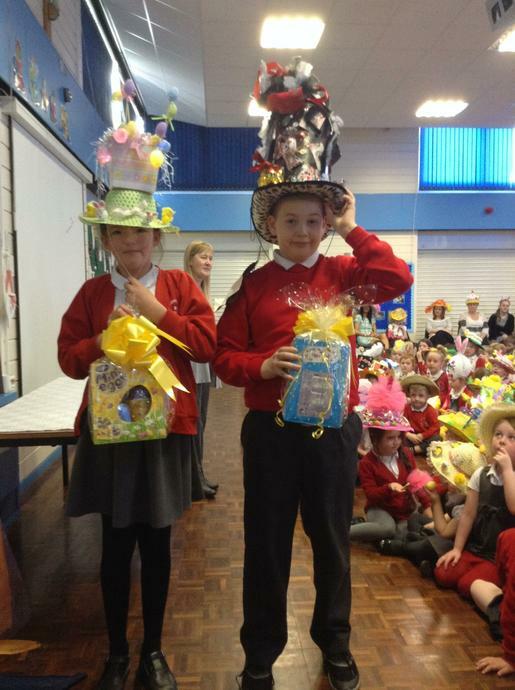 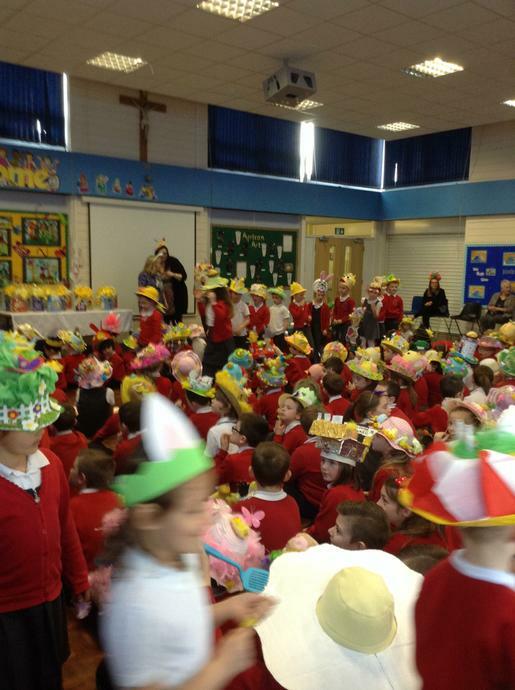 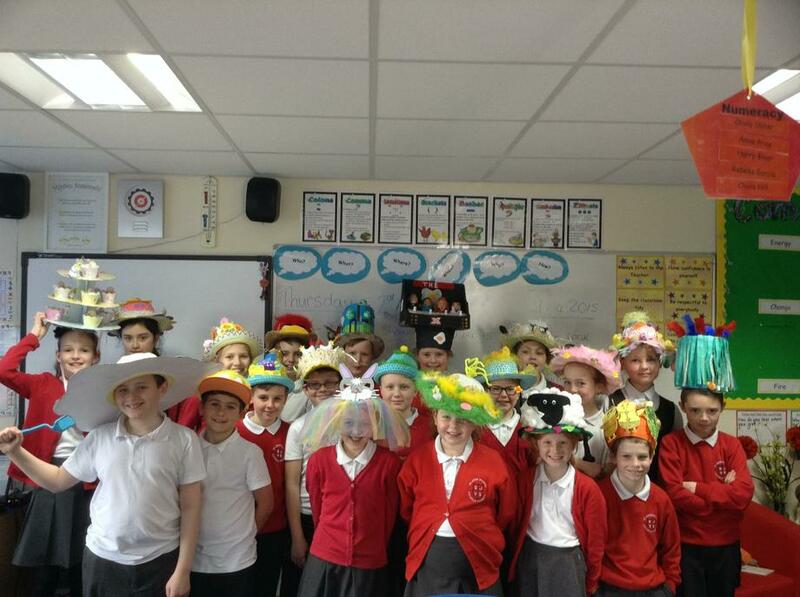 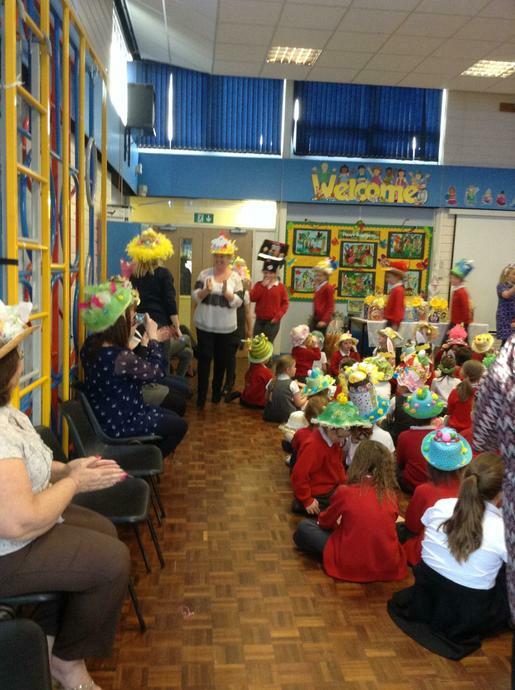 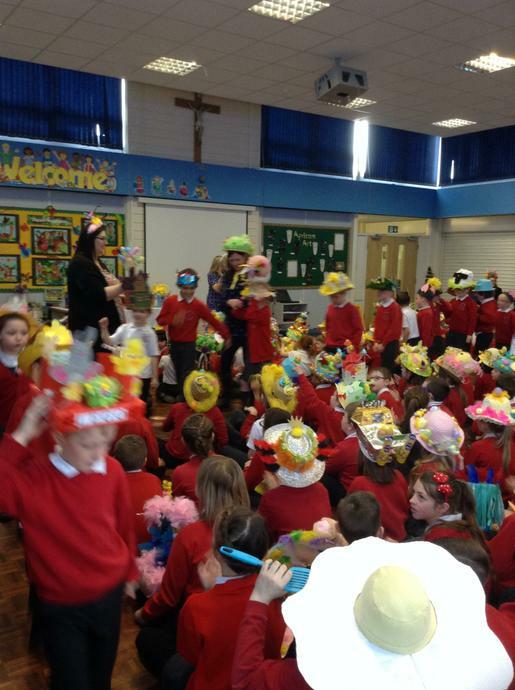 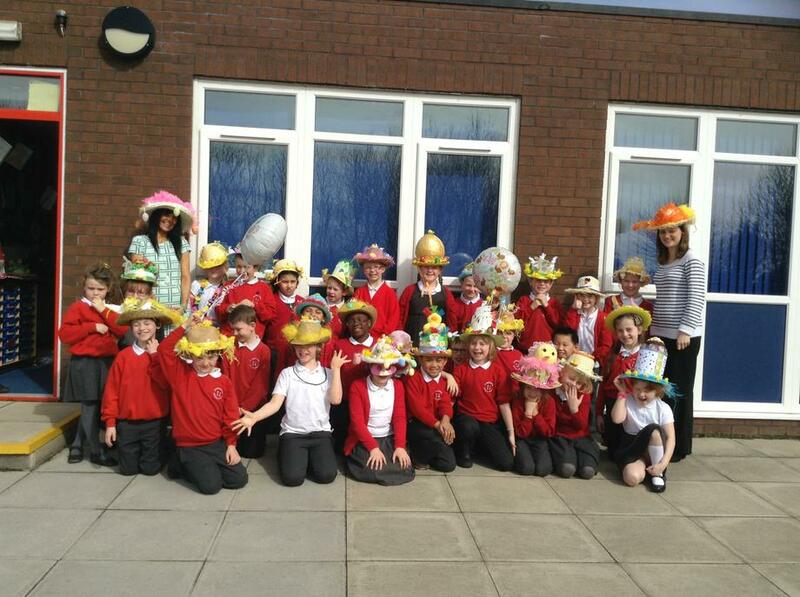 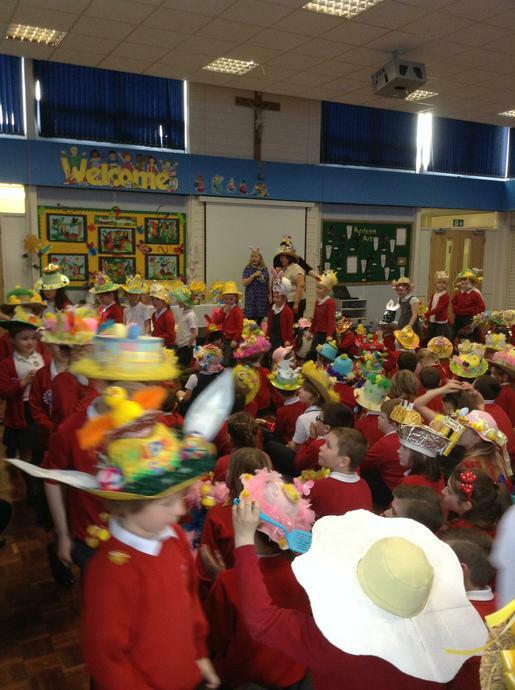 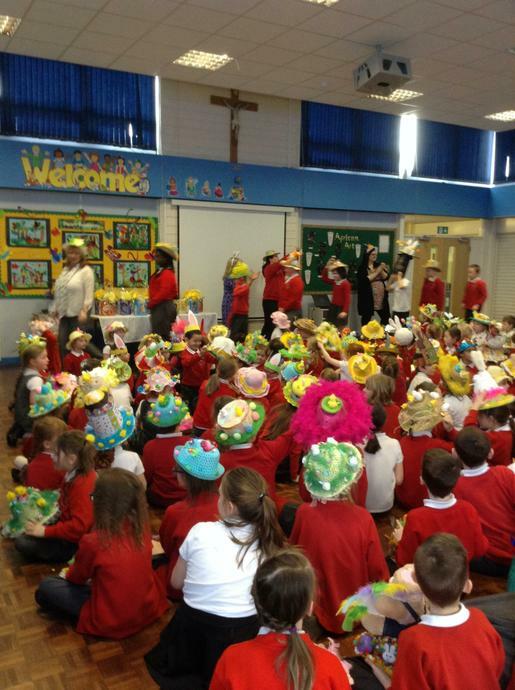 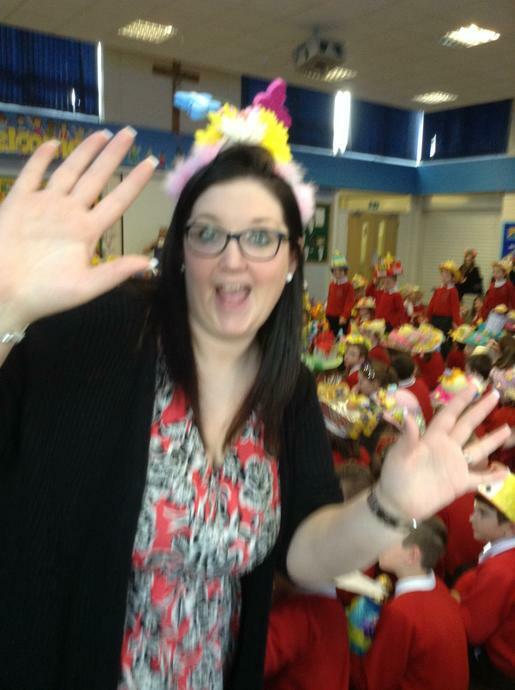 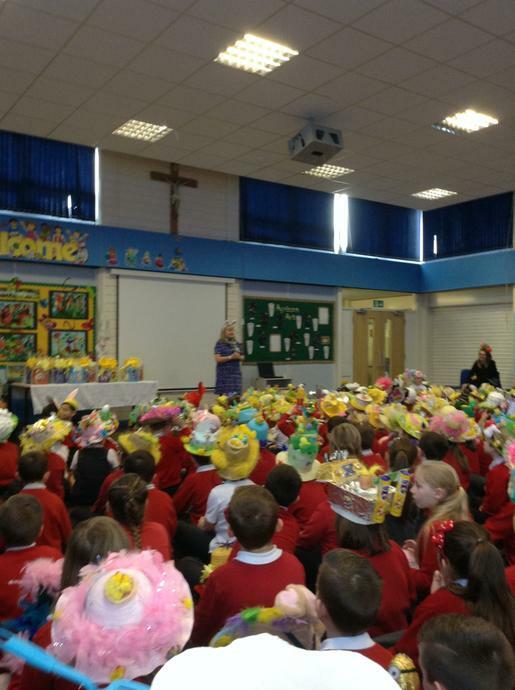 The Children of St John Vianney Catholic Primary School celebrated their 'Easter Bonnet Parade' today. 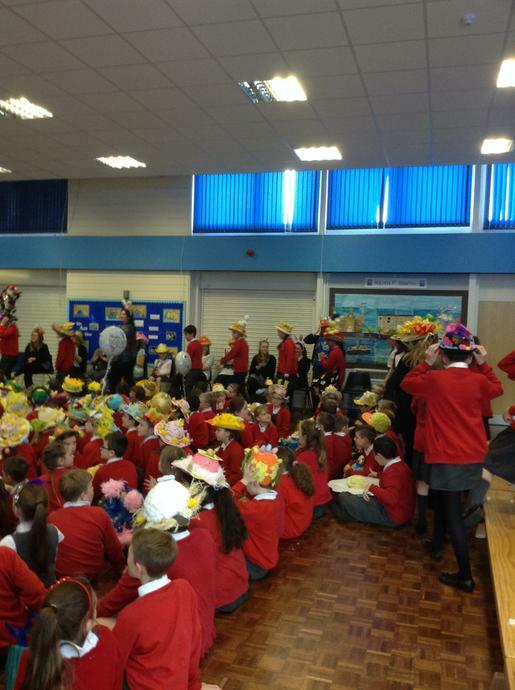 The pupils and parents had put a lot of effort with their designs and artwork for the event. 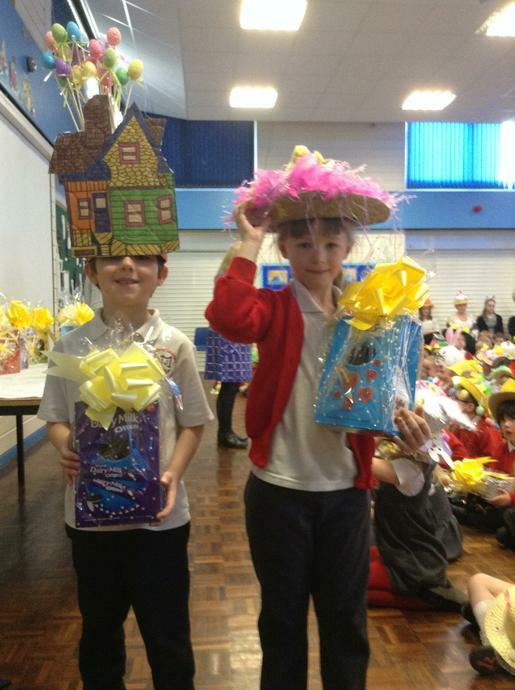 Along with the usual chicks and bunnies, there were a large selection of individualised bonnets sporting Action Man, dinosaurs and Disney characters. 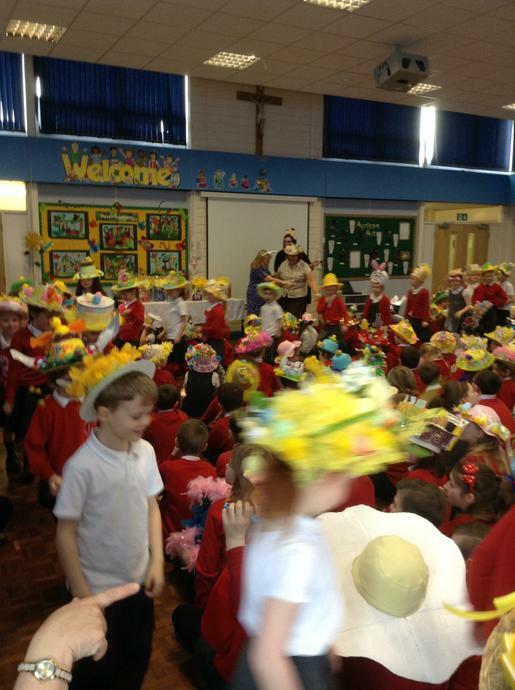 Thank you to all of the families for helping with the bonnets. 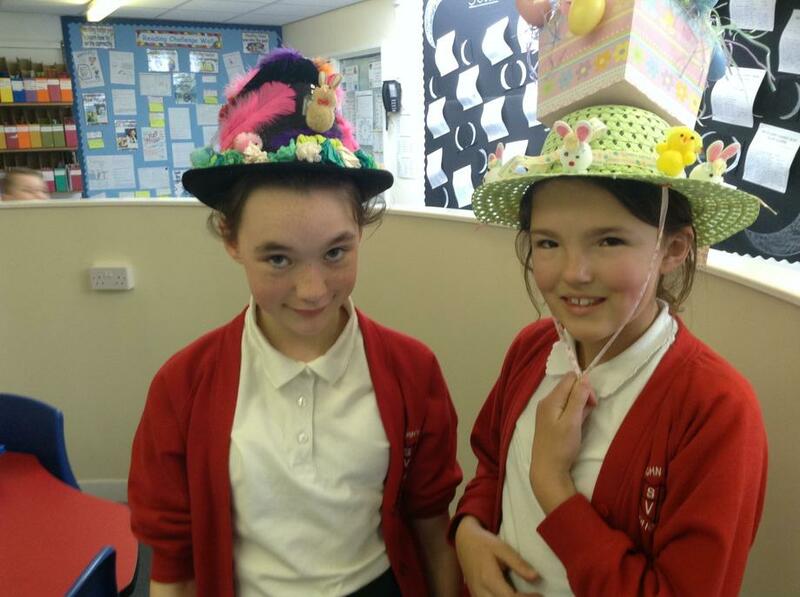 Have a happy and Holy Easter break.